Fun and Festive Catering was by our pals at PUFF n STUFF Catering. Our live entertainment was wonderful, the 3 man band BEACHWOLF who kept everyone grooving and dancing all night long. The staging was provided by my pal and AV guru mentor Chuck Taylor, owner of PRODUCTION SOURCE, love ya, Chuck! Tech AV support and lots of 5-star hustle provided by my brother Chris Novilla. Upstairs is where our favorite photobooth couple, Mark and Shelli pictured below with me, were creating smiles and memories once again. CLICK HERE for access to all of your photos from Get The Picture Photobooth! 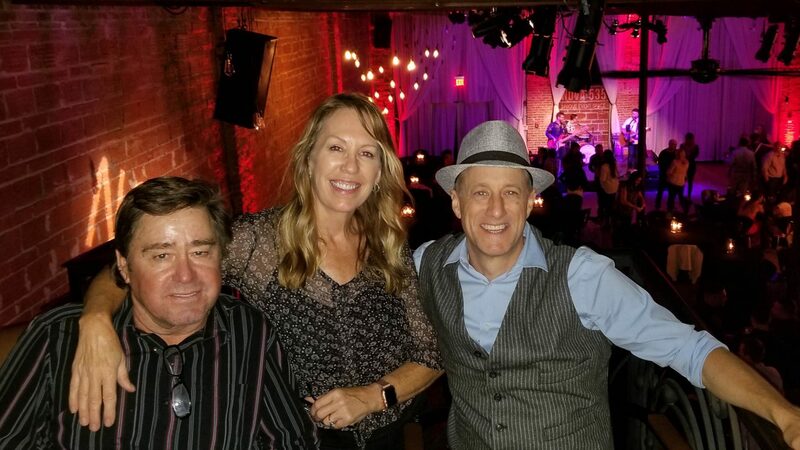 Here below are all of my photos from the Friday, March 22, 2019, Milkey Family Foundation Annual Fundraiser at historic downtown St. Pete venue NOVA 535. Please share, tag #NOVA535 and enjoy!! See you all back soon!